Melville, NY – Nikon Inc. is pleased to announce the release of three new lenses designed for the next-generation Nikon Z mount system's full-frame (Nikon FX format) mirrorless cameras, for which a new larger-diameter mount has been adopted. The three new lenses are the standard zoom NIKKOR Z 24-70mm f/4 S, the wide-angle prime NIKKOR Z 35mm f/1.8 S, and the standard prime NIKKOR Z 50mm f/1.8 S. Nikon has also announced the Mount Adapter FTZ for Z System compatibility with existing NIKKOR F mount lenses and development of the NIKKOR Z 58mm f/0.95 S Noct lens1. NIKKOR Z lenses pursue a new dimension in optical performance, by taking advantage of the superior design flexibility made possible by the combination of the larger Z mount with its inner diameter of 55mm, and a short flange focal distance of 16mm. The lenses offer sharp resolution with both still-image and video recording, and are equipped with functions that include: compensation for focus breathing (the shifting of the angle of view when focus is adjusted), quiet operation, smooth exposure control, a control ring and performance that is well suited for video capture. The NIKKOR Z 24-70mm f/4 S, NIKKOR Z 35mm f/1.8 S, and NIKKOR Z 50mm f/1.8 S are S-Line interchangeable lenses. The S-Line is a newly designated grade of NIKKOR Z lenses that adhere to a new benchmark in optical performance, realizing rendering performance that surpasses that of conventional f/4 standard zoom lenses and f/1.8 wide-angle or standard prime lenses. From maximum aperture, clear and sharp resolution can be achieved as well as beautiful bokeh characteristics. 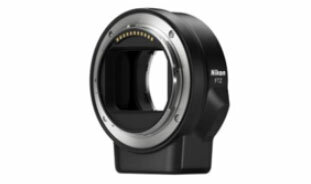 Additionally, the Mount Adapter FTZ has been designed to allow users of Nikon SLR cameras to utilize their existing NIKKOR F mount lenses with the Z mount system and enjoy taking advantage of an even wider variety of lens characteristics with their photography. Nikon is currently developing the NIKKOR Z 58mm f/0.95 S Noct, a standard prime manual focus lens and the fastest lens in Nikon’s history. The design of the Noct lens exemplifies Nikon’s mission to pursue the ultimate optical performance in the mirrorless category. As the result, the Noct is positioned at the top of the S-Line. In addition, Nikon is planning on releasing a variety of new lenses that will continue to expand its line of attractive, high-performance NIKKOR Z lenses that further extend photographers' creative expressions. 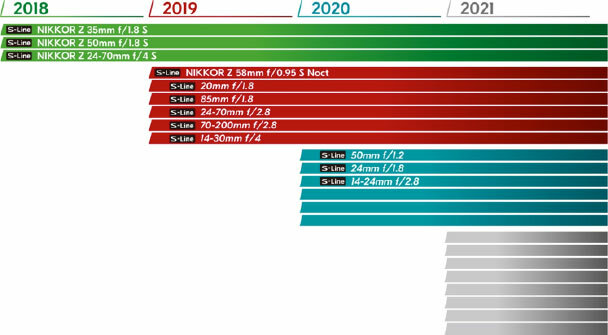 The NIKKOR Z 58mm f/0.95 S Noct that Nikon is currently developing will be a large aperture, standard 58mm prime focal-length, the fastest lens in Nikon’s history3, manual-focus lens positioned at the very top of the S-Line. It will stand to symbolize the Nikon Z mount system's new dimension in optical performance. It has inherited the design concept behind the original AI Noct-NIKKOR 58mm f/1.2, a standard prime lens released in 1977, named for “Nocturne” (a musical composition inspired by or evocative of the night), and was popular for its ability to finely reproduce point light sources as point images. This new Noct lens that is currently in development will take advantage of the advanced design flexibility afforded by the Z mount, pursuing ultimate optical performance. Development continues with the goals of achieving an extremely fast maximum aperture of f/0.95, offering the ultimate in NIKKOR rendering performance with superior detail and sharpness. Additionally, the goal is to achieve beautiful blur characteristics, or bokeh, with good continuity, and ensure outstanding point-image reproduction capabilities for more compelling, three-dimensional imaging. Information in the roadmap, including release dates, are subject to change. 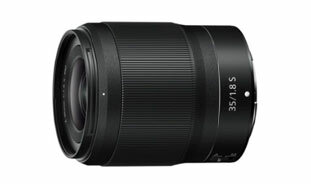 Product names after the NIKKOR Z 58mm f/0.95 S Noct are not yet finalized. 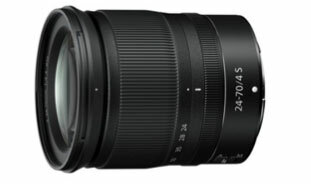 The NIKKOR Z 24-70mm f/4 S and NIKKOR Z 35mm f/1.8 S will be available September 27 for the suggested retail prices (SRP) of $999.95* and $849.95*, respectively. 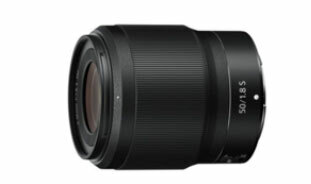 The NIKKOR Z 50mm f/1.8 S lens will be available in late October for the SRP of $599.95*. The Mount Adapter FTZ will be available September 27 for $249.95* SRP (Additional $100 savings when purchased together with a Z 7 or Z 6, through 12/31/2018). For more information on these and other Nikon products, please visit www.nikonusa.com. Nikon Inc. is a world leader in digital imaging, precision optics and photo and video capture technologies; globally recognized for setting new standards in product design and performance for an award-winning array of equipment that enable visual storytelling and content creation. In 2017, Nikon celebrated a legacy of innovation with its 100-year anniversary celebration. Nikon Inc. distributes consumer and professional digital SLR cameras, NIKKOR optics, Speedlights and system accessories, Nikon COOLPIX® compact digital cameras and Nikon software products. Nikon Corporation, the parent company of Nikon Inc., announced the production of 100 million NIKKOR lenses, creating a new milestone in Nikon’s heritage of superior optics. For more information, dial (800) NIKON-US or visit www.nikonusa.com, which links all levels of photographers and visual storytellers to the Web's most comprehensive learning and sharing communities. Connect with Nikon on Facebook, Google+, Twitter, YouTube, Instagram, Vimeo, Flickr and Snapchat (@NikonUSASnap). Information regarding the release of this product will be announced at a later date. Within interchangeable lenses for Nikon SLR cameras and Advanced Cameras with Interchangeable lenses.